Ⓒ 2018 Brownyard Group. All Rights Reserved. Building on the expertise we gained through insuring pest control operators, Brownyard developed the Wildlife Management Program CritterPRO®. This program is designed for the wildlife management and animal control industry, specifically firms that perform animal trapping or use other non-chemical methods to deter nuisance wildlife. 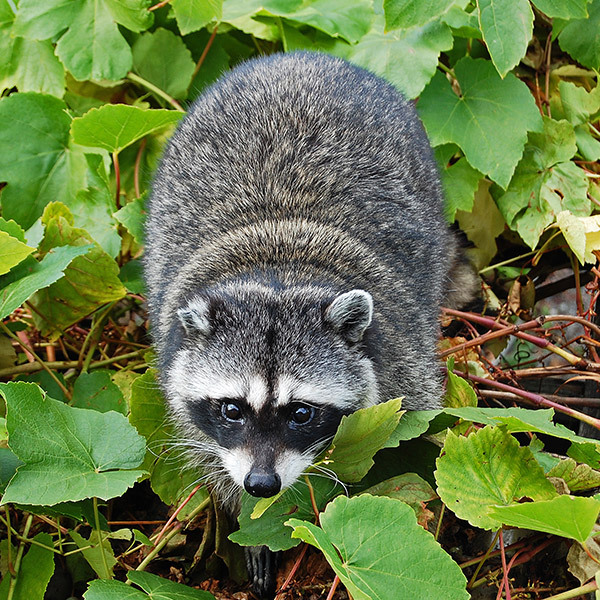 As experts in pest control, Brownyard has designed the Wildlife Management Program to address the unique risks of the animal control industry. Call John Culotta at 1-800-645-5820 for more information about these coverages. Licensed and admitted in most states. Available with limits up to $10,000,000 to protect against that once-in-a-lifetime judgment. Available with Liability limits as low as state minimums and as high as $1,000,000 CSL. The Inland Marine Program is designed to offer Mobile Property and Electronic Data Processing (EDP) coverage to our General Liability clients. Third Party Employee Dishonesty is offered to protect against service contractor employees who perpetrate dishonest acts against their customers. New York: Frank MacDonald of Select Insurance Agency, Inc. is our exclusive broker in New York for PCOpro and accepts sub-brokered business on our behalf. You can contact Frank directly at (914) 337-2161 or at frank@selectagency.com. Alabama and Mississippi: Johnny Baker of Baker Insurance Services is our exclusive broker in Alabama and Mississippi for PCOpro and accepts sub-brokered business on our behalf. You can contact Johnny directly at (877) 328-4911 or at Johnny@BakerIns.net. How do we apply for coverage? Please ask your broker to mail, email or fax the completed required information as soon as you can. There is no need for agents and brokers to be appointed by Brownyard Group to write coverage through our program. We can usually have a quote for you within a few days. What information is required for a quote? In what states is the coverage available? $300,000. Limit, $660 minimum premium. $500,000. Limit, $820 minimum premium. $1,000,000. Limit, $1,135 minimum premium. Can I get my Business Auto Coverage at Brownyard? Yes, Business Auto is available in all states except LA, MA & WA. Call our office for details. Does Brownyard write Property & Inland Marine coverage? Yes. See our Coverages tab for more details. What are your carrier’s ratings? We only write our program through the best carriers that have ratings of at least “Superior” or better. Our program is admitted in all states except WA. The coverages we offer through our program are some of the broadest in the industry at reasonable prices. Can I get a lower premium if I go directly to Brownyard without a broker and their commission? No, we value the relationship between you and your insurance representative and encourage you to stay with a local broker for the best possible service. Is Brownyard a member of the National Pest Management Association (NPMA)? Is Site Pollution Clean Up Available? Yes, we can provide Site Pollution Clean Up Coverage in most states to protect your company against government mandated clean-up costs. Is there a charge for Additional Insureds? No, never! Our policy provides a very comprehensive Blanket Additional Insured Endorsement which includes primary and non-contributary language. There is no extra charge for this endorsement or any other additional insured endorsement that may need to be added. Wildlife Control Managers: Is your insurance up to the Brownyard challenge? Check your insurance policy against Brownyard's protection plan tailored exclusively for Wildlife Control Professionals. We offer a top-rated insurer, comprehensive coverage and in-house claims management... does your insurer? Is your insurance carrier rated "Superior" or better by A.M. Best? Are you paying an insurance premium that is competitive? Are you required to pay legal or investigative expenses in connection with any claims? Is your carrier admitted to do business in your state? © 2018 Brownyard Group. All rights reserved.